Rosemary Ashton, OBE, FRSL, FBA, is Quain Professor of English Language and Literature at University College London. 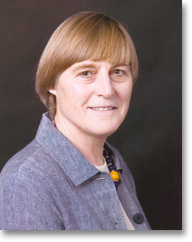 She is the author of critical and biographical studies in nineteenth-century literature and culture, including monographs on George Henry Lewes (Oxford University Press, 1991), Samuel Taylor Coleridge (Blackwell, 1996), George Eliot (Penguin, 1996), and Thomas and Jane Carlyle (Chatto, 2002); two books on Anglo-German relations, The German Idea: Four English Writers and the Reception of German Thought 1800-1860 (Cambridge University Press, 1980) and Little Germany: Exile and Asylum in Victorian Britain (Oxford University Press, 1986). Her most recent book is 142 Strand: A Radical Address in Victorian London (Chatto, 2006), an account of the progressive writers who congregated in the home of the radical publisher John Chapman in the 1850s. She is currently leading a collaborative research project, the Leverhulme-funded Bloomsbury Project, a study of educational, medical, and social institutions established on reforming principles in nineteenth-century Bloomsbury.